What does 11/4 lbs mean? this is confusing me. especially when it serves 4 at 4 oz? Can you clarify? Thank you Gina! this was delicious! I added a sliced red pepper and snow peas after the chicken was done. Some slivered ginger would an excellent addition. Thanks! Made this tonight for dinner. Was delicious! Between me an my husband there were no left overs. Used 1lb ground chicken and followed recipe exactly. This will be in our meal rotation for sure. Easy, quick, cost friendly and so good!! Thank you for the awesome recipe!! This is such a good, simple dish! Sometimes I have a hard time getting fresh basil at the store (yes, I know I should be growing it but…). I have found it can be simplified with dried basil and powdered garlic. This pulls together really fast! Thanks for such a yummy dish!!! Do the points include the rice? There is a vegan oyster that might work. It is available on Amazon if you can’t find it local. I made this and my husband loved it. I am now two for two on your recipes; I am so grateful! He is quite picky, hates healthy food, and particularly hates “rice bowls.” But, he loves Thai food, so I gave it a whirl and he loved it, (even ate seconds!) as did my brother-in-law. He also loved your navy bean bacon soup. I finally have found recipes he enjoys so he doesn’t die of a heart attack at 45. You have a gift. Thank you! Glad you all enjoyed them! I couldn’t find oyster sauce anywhere; can I use fish sauce or hoisin instead? Or another substitute? I made this dish and added onions, summer squash, red and yellow peppers and used sesame oil. It was delicious! 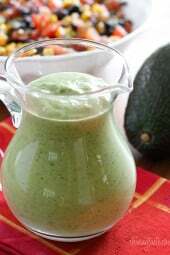 HI Gina, could you please let me know if this recipe can be done in the instant pot?, if so, what time, setting and amounts of liquids do you recommend? Thanks! I made this tonight and it was OK, not great. Just not very flavorful. Needed a lot of Soy Sauce at the table to give it any taste. This was so so so beyond good!! I added shallots that I had to the garlic, peppers, and oil and then I added a pack of mushrooms near the end to add a little point-free bulk. I served it over jasmine rice as well. Will definitely be coming back to this! I made this tonight and it was fantastic! My kids never agree on a meal – if one likes it, the other hates it…but this one, they both liked! My pickiest eater even asked me to make and pack it in her lunch when school starts. After the garlic and pepper, I added onion and red pepper and sautéed for a few minutes on high before adding the chicken. Also added snap peas and some steamed broccoli in the last few minutes. So good! I really enjoyed this! I took the advice to add veggies (bok choy and asparagus) and was very happy with the results. I didn’t have a Serrano chilie so I used chili paste to add the heat. Worked perfectly. Thanks for sharing Gina! Made this for dinner tonight. Delicious!!! Will definitely make again and again. Okay so i made this recipe for dinner tonight and it was freaking amazing! I added blanched cut green beans with the basil, and i just didn’t want to stop eating this dish. I can’t believe it’s 6 ingredients, and it helped me use my garden basil. I ordered Cravings on Amazon not even realizing this recipe was adapted from it until tonight, and I’m supposed to receive the book tonight so I’m looking forward to it even more now! I have your cookbook as well, and am looking forward to your new one. Will it have instant pot recipes? This was soooooo good! Added green beans and served it over jasmine rice. My whole family loved it! What can I sub for oyster sauce? This is one of my new, all-time favorite recipes! Absolutely delicious, Gina!!! Thank you! Another solid recipe! I have a ton of Thai Basil in my Aerogarden and this was a great use for it. I’ll definitely make it again, only I’ll kick up the heat next time. Love your site and absolutely loved this recipe. I didn’t have a Serrano pepper on hand so I subbed 1/4 tsp of cayenne and 1/4 tsp of chilli pepper flakes and 1/2 a tsp of my Epicure Thai seasoning. Tossed with rice noodles. It was a definite do again! I also love that you include the WW points. Makes my life a lot easier ……..so Thanks!???? I do love Thai food not so much hot spice i.e. 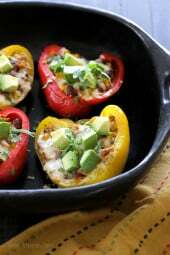 serrano chile by replacing it with red orange or green pepper would it change the recipe much? added bok choy like u mentioned and it was delish???? This is SO quick and easy to make. I add veggies towards the end to bulk this up like you suggested (thinly sliced bok choy, carrots, tomatoes–bell peppers or broccoli would work well too, they just aren’t a personal favorite). And sometimes I just get the veggies from the salad bar at the grocery store so I can get a small amount and save time on chopping. This is great the next day for leftovers at work too. Thanks, Gina! Looks delicious! I am can’t eat oyster sauce as it contains gluten. Is there an alternative? Thanks so much! ? Holy moly I just made this dish and it is fantastic. I love the fact that it’s comes together so quickly. Definitely will put this in my dinner rotation. Added marinara sauce to this recipe for an Italian twist and it was delicious! I think I will spiralize some zucchini next time for a full low cal meal. This was SO GOOD! I used half a jalapeño pepper instead because I wasn’t quite in the mood for something spicy. Also used brown rice since it’s what I had. Awesome recipe, will definitely make this over and over again! Loved this recipe so much! It was easy and gave me a chance to try new ingredients (oyster sauce!). I loved mine with some mushrooms added and served over riced cauliflower, which calculated at 4 SP. This one is going to stay in permanent rotation. I hope you adapt more recipes from Cravings to suit the WW program! Which did you have in mind? I can do one more if it’s reasonable. 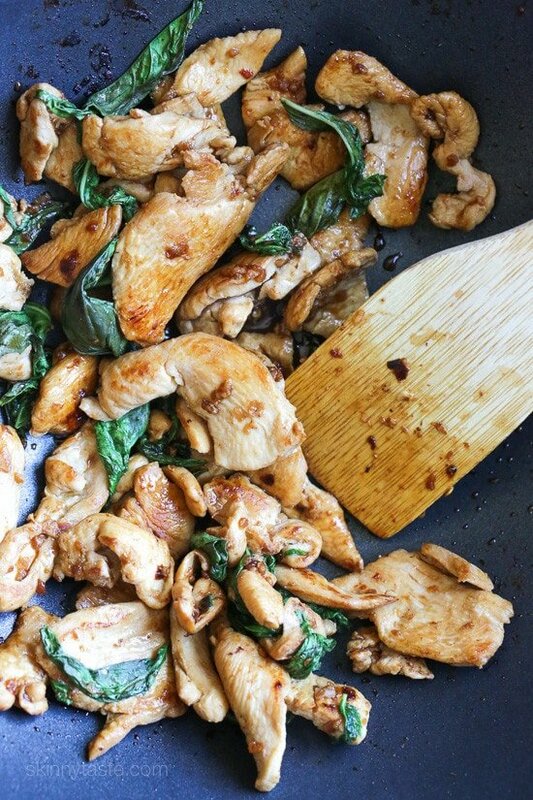 Just made this for dinner … quick and easy. Very tasty … highly recommend. This sounds delicious! Will be making it next week. Your new website is beautiful, Gina, but I have one comment: I much preferred the “print” option that you had with your previous site design. When I’m printing a recipe, I don’t need all of the comments etc. I enjoy reading them, but it all prints out as too many pages this way. So I’m back to copying and pasting into Word first; your old system worked beautifully. I still love all of your recipes! Are you using the print option within the recipe? You can leave the chili out for mild! I’m allergic to shellfish, so oyster sauce is out. Any suggestions on a replacement? Or just don’t use anything? What kind of oyster sauce do you use? According to Cooks Illustrated there are two kinds of oyster sauce….one being a bottled oyster flavored sauce and the other being a cooking sauce containing oyster flavored sauce? I am confused as I’ve never used this and it doesn’t sound very appetizing ???? (yuck oysters) although I do love many Thai dishes. Thanks for the help! If your husband doesn’t eat spicy do you just leave out the pepper. Or is ther a substitute? I made this tonight and absolutely loved it! To make it less spicy (and more kid-friendly) I replaced the serrano with a jalapeno. I also added a sliced bell pepper, sliced onion, and green beans. Next time I’ll definitely make double the marinade in order to end up with more sauce to go with the veggies. I’m a little worried about the spice…my kids like spicy to an extent, but…how hot is it? I don’t want to leave the pepper out completely. Any ideas? Leave it out and top your dish with crushed red pepper flakes. It marinates, then you cook it with the marinade. Gina, I apologize if this question has already been asked. I did a quick scan but didn’t see it. The smart points count on this is just for the chicken? Or does it include a serving of jasmine rice? This was amazing! I made it a couple weeks ago for my husband who always orders this dish at Thai restaurants and he LOVED IT. Looking forward to making this again this week! My husband is allergic to shell fish so we can’t do the oyster sauce. What do you recommend as a substitute? Thank you! I’ve killed multiple plants, including ones that you aren’t supposed to be able to kill, and I don’t have a balcony or yard. Is there any sort of substitute (not really) for basil? It’s really expensive in Vancouver. Whipped this up for supper last night. Tasty and easy to make-two of my favs! Served over stir fried veggies (from a bag) and leftover rice noodles. Next time I’ll double the sauce for the veg/noodle component. Keep ’em coming, Gina! I made this tonight and it is SO GOOD and SO EASY.. This is going to be one of my new go to’s. Would definitely recommend Thai basil if you can get your hands on it. Like Gina, I’ll add some snap peas or something next time. YUM! Looks like everything posted again, but now i can read it all on feedly!!! THANK YOU!!!! I just made this tonight, and it’s delicious! I wasnt expecting much, because the ingredients are so simple, but magic happens somehow and it tastes great! Alchemy! I used a little less basil and added snow peas. Cashews would be an amazing addition as well. Maybe a little salty. A keeper! This looks so good but how do you print your recipes out? There used to be printer friendly versions? There’s a large rectangle black print button below the recipe. made this last night; didn't use the fish sauce, added snap peas and only did 1 cup of basil leaves and was delicious! are the nutrition facts including the rice? Looks so amazing! Do you think it's ok to marinate the chicken overnight? Fwiw I marinated mine an hour and I think it got too salty. Did you use low sodium soy sauce? I can see the longer you marinate, the saltier it would be. Cooked this for my family the other night and it was a hit! So good and easy to cook as well! Just made this tonight and it was great!! I added sugar snap peas and water chestnuts (just added to the hot pan for a few minutes before adding in the garlic and serrano). Will definitely be making it again! In Thailand this is often made with ground pork or sliced lean pork – either are a good substitute to try for the chicken. This looks great! When I put the ingredients in the weight watchers recipe builder it comes out to 4 smartoints. Any idea why the difference? I added asparagus and it was incredible! Added them to the oil mixture a few minutes before the chicken. I made this last night and it was a hit! I added snow peas and red bellpepper to add crunch. Looks delicious! We usually order in Thai food but lately I have been making more and more homemade Thai dishes. Thinking a tofu version of this would be good too. Look forward to making! Cheers! I thought I had some oyster sauce, but i actually have a ton of fish sauce. Do you think i can use fish sauce and just add some sugar? What would you suggest… would love to make this tonight! This recipe should use fish sauce instead of soya sauce. This is more of a Chinese dish, substituting fish sauce would make it authentically Thai. I want to add some veggies to this dish. Do I need to increase the sauce? Also do I cook the veggies and the chicken in two different batches? Just made this & it was so easy & SUPER delish! This will be a regular for us. Can't wait to make it again! This recipe is amazing, thank you!!! This meal looks delicious and easy. I can't wait to make it. I think I will try adding asparagus to it as well. Thank you for sharing this recipe. I've cooked at least a hundred of your meals and this is easily the best. Enough so that I'm also commenting for my first time. YUM! Do you have a yard, or even a balcony? I bought a basil plant (from my supermarket, actually) and it has been a life saver- cost wise! I don’t have a balcony or yard. I also have black thumbs. Any plant I bring in dies. I would LOVE to make this, but I don’t think I’ll be able to with the amount of basil needed. made this last night. So so good!! My daughter just bought "Cravings" yesterday! I haven't had a chance to really look at it, but can't wait to see which recipes you make lighter. My diet is based on your recipes…..love every one of them! Bought an Insta Pot. Could you post some more recipes for it? I have a shellfish allergy, so oyster sauce is a no-go. Is there a substitute, or am I just out of luck with this dish? They sell oyster sauces that are made of mushrooms instead of oysters. They are labeled as vegetarian oyster sauce. what a gorgeous dish! I haven't picked up a copy of Cravings yet, but this recipe may have convinced me. loooove thai basil! Spicy basil chicken is one of my favorite dishes. I substitute coconut oil, add veggies and 1 TB of apple cider vinegar. I also use low sodium tamari vs. soy sauce which is naturally gluten free. I've served with rice noodles as well. The skinnytaste website has been a life saver; thank you! reduce intake to 1,500 mg among persons who are 51 and older and those of any age who are African American or have hypertension, diabetes, or chronic kidney disease. The 1,500 mg recommendation applies to about half of the U.S. population, including children, and the majority of adults. I waving the same thought-it's only March- I haven't seen any of the big boxes of basil in the stress like you do at summers end. This sounds awesome. I love basil, but 3 cups sounds like a lot. I am thinking I'd have to buy multiple packages of basil at the store to get that much. How do you buy your basil? Maybe I am overthinking how much it really is. Spring is nearly here. Buy plants and put them on your patio or in your garden. It is very easy to grow and you'll have fresh basil all summer. I'm starting seeds now. If you can find plants now, just buy a plant and harvest away. I haven't tried this recipe, but I make similar ones after being I Thailand a bit. Add cashews and green onion. You can't go wrong. It's a flavor explosion. Sounds delicious! Do you think you could dish this into portions with cauliflower rice and freeze? What's a good substitute for oyster sauce? Fish sauce, maybe? You can try fish sauce but would then likely need to add a bit of sugar or other sweetener. The soy sauce may need to be adjusted as both are salty. Taste along the way. This recipe came at a perfect time — got off work early and was able to grab missing ingredients on the way home. Made with carrots and green beans since I had in the house and delicious! Gina- this looks awesome. Please do more instant pot recipes! Please!! I promise I will, I just finished my cookbook so I should have more time. Yes, I second the request for more instant pot recipes! 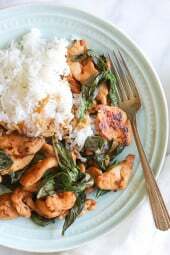 I’m making this thai basil chicken tonight. i plan to try this with chicken legs in the IP this weekend remove the chicken legs and reduce the sauce then toss in some veggies and stir fry a bit peppers bok choy onion and snap peas if i can find some nice fresh ones. I make a version of this regularly and usually throw in mushrooms, onions (yellow or green) and some red or green bell pepper. yum, sure I usually add whatever I have in my refrigerator! what veggies would you recommend adding? Recently took a cooking class in Thailand, the traditional veggies are green beans chopped in 1 inch pieces and sliced shallot…they also grind their chicken! I made this last night and added 2.5 bell peppers, red onion, zucchini, snow peas, green beans and broccoli. It was amazing! This cracked me up :o) I miss Martin! I often go out to the Thai buffet for lunch with a coworker, and she always order basil chicken. It's ground there, which is less appetizing to me. But this? This looks amazing! I bet it's so good with super fresh basil out of the backyard! Ground chicken would easily work too! 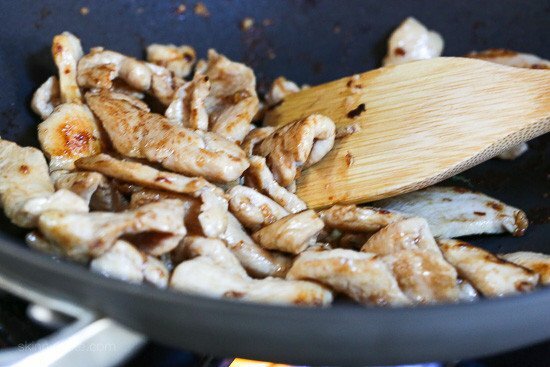 Silly question – can you marinade ground chicken? 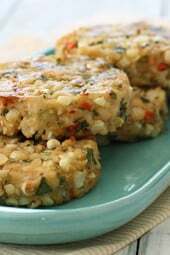 It is great with ground chicken!